and are happier, and more relaxed when they feel good about who they are. 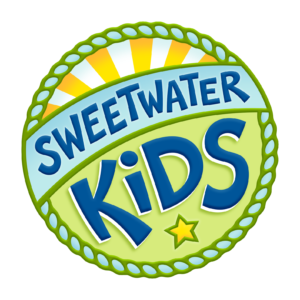 Introduce children to a powerful new way of learning with the Sweetwater Kids Experience. They will have the time of their lives exploring 10 empowering character-building themes using our unique Stations of Learning which include storytelling at the Campfire Circle, dramatic play and dancing to the Sweetwater Kids music videos on the Sweetwater Stage, exploring their creativity at Imagination Station, engaging in unique outdoor learning experiences in Empowerment Park, and interacting with our remarkable animal teachers in The Barnyard. And upon leaving, each child is given a gift bag filled with empowering reminders from the day! Reservations: For 2019, our Sweetwater Kids Experience is offered March 1st – Nov. 27th on weekdays only. They are three hours in length and we offer plenty of free time for farm exploration and snacks.